In our commitment to provide people with fair skin with as much makeup choices as possible, we gathered and reviewed 5 liquid facial bronzers available this 2017. These liquid bronzers were then assessed based on their ability to enhance the features of someone who has fair skin, their usability, and their value for money until we picked out what we feel is the best liquid bronzer. The Flawless Self-Tan Liquid by Fake Bake also doubles as a bronzer and can be used from head to toe. It boasts of its triple tan formula for a long lasting deep tan. Dr. Hauschka’s Translucent Bronzing Tint is safe for all skin types. It gives you a beautiful sun-kissed glow while getting rid of blemishes for a more refined and enhanced skin texture. 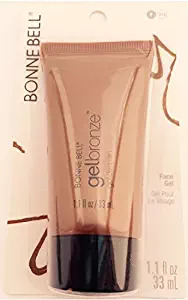 Choose the Gel Bronze by Bonne Bell for an easy and streak-free tan in an instant. This bronzer is packed with moisturizers that care for your skin while you’re looking your best. 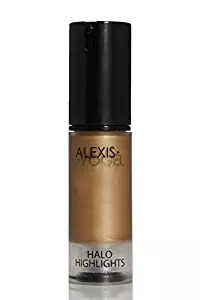 Go for Alexis Vogel’s Halo Highlights for a blush, bronzer, contouring makeup, or a highlighter in one. It promises to give you a look worthy of being in the red carpet for fraction of the amount. A crowd favorite, the Dew the Hoola Liquid Bronzer by Benefit is perfect who love wearing bronzers but hate the shimmers. It is also great for oily skin as it gives a soft, matte finish. What makes this the best liquid bronzer is it gives you an effortless tan in minutes. It is transfer-resistant and easily absorbed by the skin, perfect for those people who are on the go. People with fair skin will love this product as it gives you a deep, natural tan right at the comfort of your home. It gives a healthy glow without looking like Ryan Reynolds at the Golden Globes. This bronzer-slash-tanning spray has a dark brown color and a consistency that is quite runny. This can make application a pain, that’s why they have included the tanning mitt in the package. It also comes in a spray bottle. They claim that this makes things easier, but for us, it’s the exact opposite since it produces some uneven splatters and sometimes, get into random areas. The smell that comes with this product reminds you of a day at the beach. We just found it disappointing that after rinsing it off, the smell goes away as well. We were really impressed with this product and urge those with fair skin to check it out. It may not be the darkest one out there, but it’ll save you from looking like a character off Twilight. You must go ahead and check this highly-recommended product for fair skin out and make 2017 the year when you finally make an impression. This is the best liquid bronzer for face 2017 as it gives you a beautiful, sun-kissed glow and is ideal for all skin types. It is rich in vitamins that repair your skin for a more even appearance. Packed with mineral pigments, beeswax, and olive oil, this bronzer gives fair skin a healthy glow that radiates from within. Witch Hazel and Anthyllis, on the other hand, help firm and tone skin. With a subtle floral smell, this product has a more serum-like feel instead of a bronzer. It is also highly pigmented, so a little of it goes a long way. It is however recommended to mix it with your moisturizer first before applying it on fair skin. Applying it directly to your skin will only leave you looking streaky. This product comes in a caramel/golden bronze color with no glitters or shimmers. While it does not conceal imperfections, it makes your skin look a better version of itself. We really like this product because when applied correctly, can work for anyone from fair skin to those with deep complexions. This is really the answer to looking your best this 2017. People with fair skin will really love this product. With this in hand, you can now say goodbye to that dull, lifeless look you’ve had all your life. This is the best liquid bronzer for fair skin since you get the best of both worlds. This offers you an easy application (unlike liquid bronzers) sans the dryness that comes from a powder bronzer. This lightweight product gives fair skin a touch of color that’s radiant and natural-looking without looking streaky. It is also very smooth which allows this bronzer to be spread evenly and easily. Easily absorbed by the skin, this product can be used both on the face and body. Great for people with dry skin, it offers a more even application without leaving dry patches behind. This bronzer doesn’t contain any kind of shimmer and is transfer-resistant. It is also very buildable so you can keep layering it until you reach your desired level of bronze. The product looks dark once it comes off the tube, which may freak those with fair skin out. But fear not, because it’ll start to lighten once you start blending it out. We think liquid bronzers should be reintroduced this 2017. If you are new to liquid bronzers, check this one out and you’ll be asking yourself how you managed without this product. Makeup enthusiasts will love this product since it can be used as a blush, bronzer, highlighter, or a contouring makeup. It can be used on the body as well for perfection from head to toe. This product was created by makeup artist to the stars Alexis Vogel. You can now have a look that’s worthy of the red carpet this 2017, anyway, anytime, and anywhere that you want. From the name itself, this product is secret to having that Hollywood glow you’ve always wanted.This lightweight liquid intensifies your bone structure, giving more definition and depth. Women who have fair skin will love this product because it contains the right amount of shimmers.It gives out a natural radiance without making you look like a glittery disco ball. The best part is that this product comes in three different shades. So no matter how fair skinned you may be, there is a shade out there to complement your look. We think this product is a must-have for 2017. It really helps bring out your natural glow and knowing it’s created by a makeup artist, you certainly won’t go wrong. We pick this crowd favorite as the best liquid bronzer for face 2017. And aside from those with fair skin, it is also great for those with oily skin as this product gives out a soft, matte finish. This product is one of our personal favorites since it has no shimmer—at all. It also blends in perfectly with your skin and is very lightweight, you’ll even forget you have it on in the first place. In terms of packaging, we’d have to say this product has the prettiest of them all. It comes in an orange, almost bronze-like “metallic” pump container, which allows for easier application. This product adds a gentle warmth to the skin and is ideal for all skin tones. However, we think people with fair skin will benefit the most as it gives you a neutral warmth without looking fake. This best liquid bronzer for fair skin is very buildable without making you look cakey. A little also goes a long way, since a single pump is enough to bronze the two sides of your face. What’s great about this product for fair skin is that it’s great at keeping oil at bay and doesn’t accentuate any dry patches. It can also last for up to 8 hours even without a primer. If you want to update your look this 2017, you have to check this product out. We guarantee you won’t be disappointed, and you’ll understand why a lot of women with fair skin swear by this. Powder and Liquid Bronzers: Which Type Suits Me Best? The first rule of choosing a bronzer is, of course, to find one that matches your skin tone. Now that you’re done with that, it’s time to choose which type would work based on your skin type. It can’t be denied that powder bronzers have dominated the market. But we’ve found that the liquid ones are also making a name this 2017, that is, if you want a dewier glow. For someone who has an oily complexion, you may want to choose powder bronzers. We all know that powders can help absorb excess oil, while liquid can only worsen the situation. Additionally, if you’re a beginner at bronzing, powder bronzers are your best friend since they’re more blendable than their liquid counterpart. When applying this type of bronzer, make sure your fingers or your makeup applicator is a little damp. This type has the look and feel of a foundation, but doesn’t exactly work the same way. Using liquid bronzers are a bit tricky, and you must make sure to evenly apply it as to not make it look streaky. These types are recommended if you want an easy application without the dryness. Also, gel and crème bronzers can be worn sans the foundation. These types easily blend in with your skin and often offer a streak-free finish. The best part is that they work for all, regardless of your skin type. If you choose liquid bronzers over powder ones, always remember to take it easy. The general rule when it comes to liquid products is to not overdo it. Wearing a liquid bronzer on top of a liquid foundation is a big no-no. More and more liquid bronzers are hitting the market this 2017. We think this is a complete game changer, especially for us women with fair skin. The Flawless Self-Tan Liquid by Fake Bake is the clear winner of this round as the best liquid bronzer for face. It can also be used as a bronzer and is transfer-resistant, easily absorbed by the skin, and dries pretty quickly. This product is formulated without parabens so you’re confident nothing harmful gets into your skin. It also comes with a mild tropical scent that reminds you of a day at the beach. We also think that its price is fair enough for the quantity you get. This product can be used on the body as well, so you really get your money’s worth.